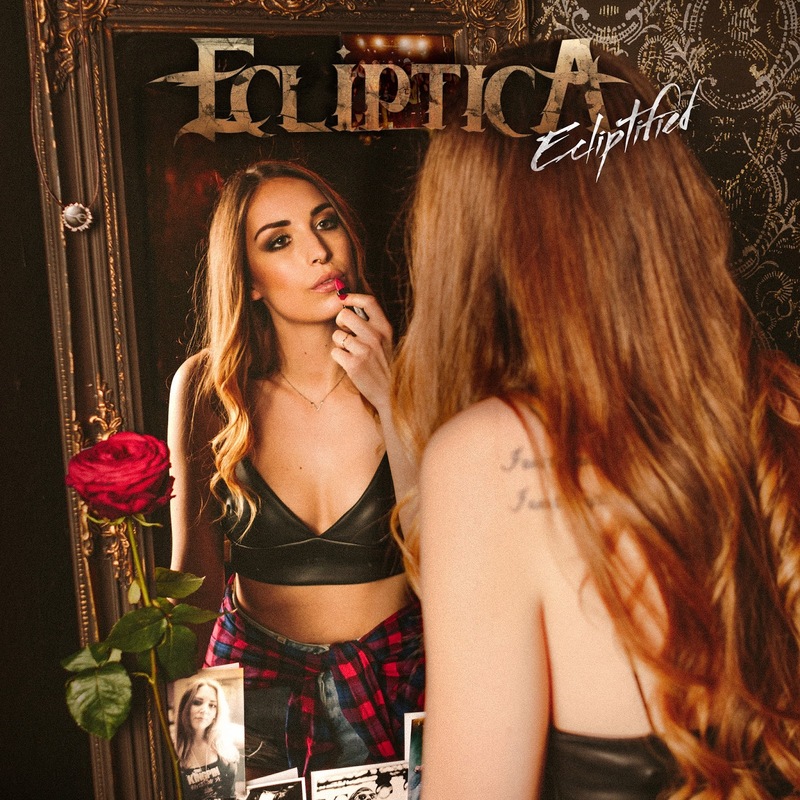 Rock & Metal 4 You: CD-Review: Ecliptica - "Ecliptified"
Metal from Austria? Beside Symphonic Metal heroes Serenity I can't remember so many other bands of this particular genre from this country. Although Ecliptica are named after the debut album of Sonata Arctica they are not a Symphonic or Power Metal band as you might expect it. Ecliptica describe their music as "Metal'n'Roll" and they are around for quite some time already. Their new album "Ecliptified" marks their thrid record in band history and it shows the band from a more different side. When you listen to the bands first two efforts you realize that they focus more on the Metal aspect on these records. With "Ecliptified" it's quiet different. Here the focus lies on huge stadium compatible sing along melodies and a bigger sleaze attitude. That means "Ecliptified" reminded me much more at the old Glam Metal acts from the 80's, without being a simple copy of them. So, if you like Glam Rock or Melodic Hard Rock you'll be very satisfied. Another thing that makes this band stand out from similar acts is the fact that two vocalists share the microphone: male singer Tom Tieber and female singer Sandra "Sunny" Urbanek . This mixture works pretty well, because these two voices complement each other perfectly. Sandra is not just an incredibly beautiful rock chick, she also has this kind of sleazy attitude in her voice that fits the music very well, while Tom's voice goes more in the Metal direction with high-pitched vocals. But what about the songs on "Ecliptified"? In this case this album is very varied. You have the catchy arena anthems like "Welcome To The Show", "One For Rock'n'Roll", the over-the-top hits "Rock'n'Roll Medication" and "I Surrender", as well as more heavy stuff like "Hate The Pain" and "We Rock" and of course the power ballads, named "I Need Your Love" (would have been an instant airplay hit in the 80's) and the slow "For Good". So, within its genre "Ecliptified" deliveres a bunch of different ideas. Those fit pretty well together for most of the time, but sometimes the mix feels also a bit out of place. You notice that especially on the song "Road To Nowhere", where the verses sound very heavy and Metal like, but in the chorus this one turns into an AOR tune. Although this is by far not a bad song it doesn't fit so well here in my opinion. Then you have the song "Round 'n' Round" which is a bit too much Pop and sugar. The rest of the album is very well balanced and the whole musicianship delivers an enjoable experience. On "Ecliptified" you'll also find some really amazing guitar-solos. So there is no doubt that those guys are all gifted musicians. The production can also shine with a clear sound without missing some edges here and there. Finally I just can say that "Ecliptified" belongs to the first big surprises in 2016. Coming out of nowhere this album got me from the very first listen. I like the variety and the many hook loaden songs as well as the cool attitude of both singers. Combined with the tight musicianship and solid production this album is (with very few exceptions) a winner from start to finish. You got to keep an eye on this band in the future! CD-Review: Dream Theater - "The Astonishing"
CD-Review: Serenity - "Codex Atlanticus"